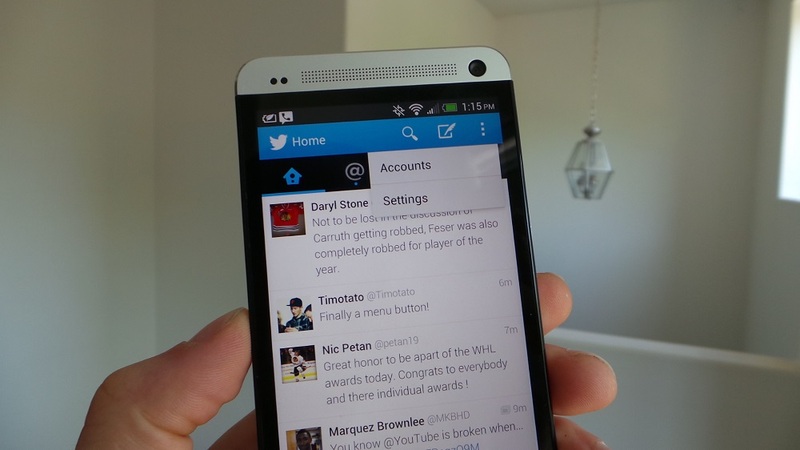 Twitter for Android Updated, Brings a Menu Button! Hold onto your caps, folks – the Twitter app for Android now has a menu button! Well actually, we should be a bit more specific given this is our business. It’s called an Action Overflow Button. I know, I know, where has this been since the beginning? Either way, it’s there now for easy account switching and quick access to account settings. Go utilize it till your finger falls off. See what’s happening near you or around the world by viewing Trends in hundreds of locations. Get quick access to account switching and settings via the menu button. Enjoy a smoother experience thanks to bug fixes and other improvements.